Remember this: Whoever sows sparingly will also reap sparingly, and whoever sows generously will also reap generously. Each of you should give what you have decided in your heart to give, not reluctantly or under compulsion, for God loves a cheerful giver. And God is able to bless you abundantly, so that in all things, at all times, having all that you need, you will abound in every good work. Remember this: Whoever sows sparingly (of yourself) will also reap sparingly, and whoever sows generously (of yourself) will also reap generously. 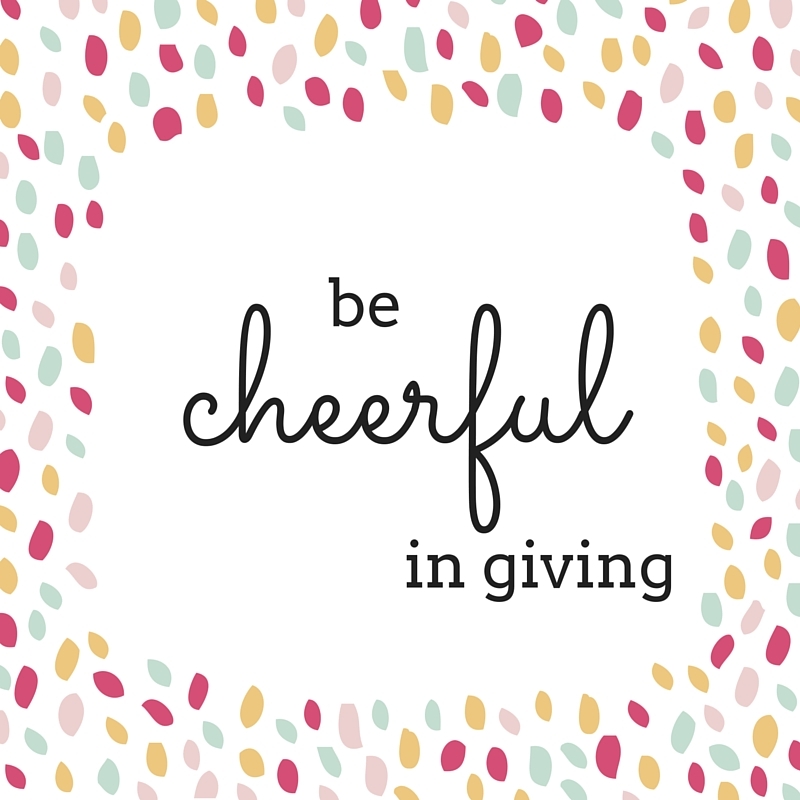 Each of you should give (of yourself) what you have decided in your heart to give, not reluctantly or under compulsion, for God loves a cheerful giver. And God is able to bless you abundantly, so that in all things, at all times, having all that you need, you will abound in every good work. It's that good-ol' backwards thinking. The more we give, the more we have. As we sow generously, God gives generously so that the circle can continue, and in doing so we will IN ALL THINGS, AT ALL TIMES, HAVE ALL THAT WE NEED...to abound in every good work--for HIM. Because that's really what it's all about, right? All of our good works (wife, mom, friend, ministry, writing...) should point to Him. Every time we choose to die to ourselves we are giving him glory. We become a living testimony of Who God is and what he can do. 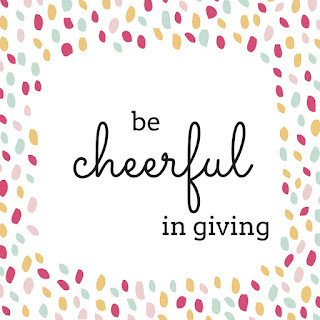 Which is why that little adjective "cheerful" is added. Complaining through giving isn't obedience friends. That's living by the letter of the law without allowing Christ to change your heart. See, the cheerfulness comes when we understand all he's done for us! How can we remain selfish when the selfless love of Christ runs through our blood? It's all about shifting our focus to the Cross. When we do that, when we live in the shadow of his sacrifice for us, we cannot help but be cheerful givers of all we've been given: time, money, forgiveness...grace. Hey Susan, this is so convicting! Thank you for sharing so much of yourself. I can absolutely relate. Selfishness is something God and I work through all the time. While I'm not proud of that, it's nice to know I'm not alone. And, what a perfect Scripture passage to use! This is such a beautiful application of this passage of Scripture, Susan. " ... the cheerfulness comes when we understand all he's done for us!"